Kiz Studios today announced the beginning of the free Open Beta event exclusively for PlayStation 4 players, marking the first opportunity to sample the innovative arena battler Trans-Galactic Tournament. Launching today the Trans-Galactic Open Beta is available to North American players as they enjoy an early taste of the chaotic arena combat as 10 unique champions and over 100 unique power-ups promises endless hours of competitive entertainment. Trans-Galactic Tournament is a 4v4 game that combines fast-paced action of today’s most competitive titles with a unique blend of strategic gameplay. The game offers three distinct mode, each offering something innovative when compared to other titles in the genre. Conquest, Plunderball and Annihilation promises a unique variety of game play every match as players enjoy new and exciting twists on deathmatch, capture the flag and king of the hill inspired game modes. The combat in Trans-Galactic Tournament utilizes a skill-based system that could see an opponent reduced to rumble with a simple one-hit kill over an open ravine, or an intense battle between teams lasting several minutes as players utilize a variety of jumps, avoiding maneuvers and special abilities to dodge attacks. 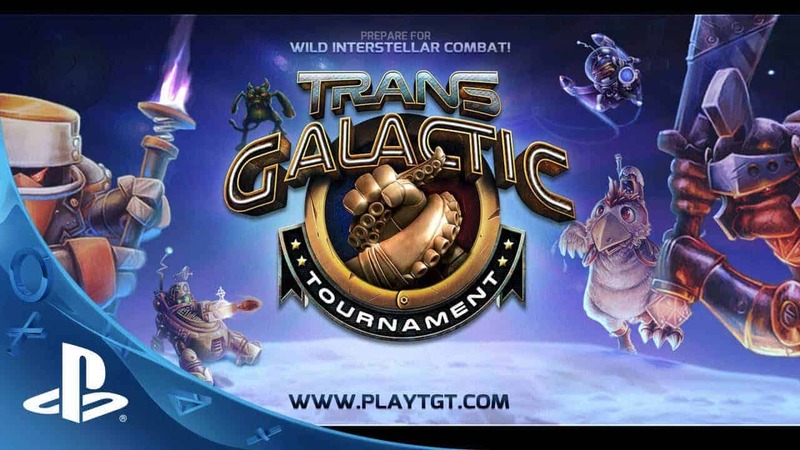 Trans-Galactic Tournament is expected to release later this Summer exclusively on the PlayStation 4. Further territory releases outside of North America will be announced at a later date.